No less so in current times as we witness a revival of interest in labyrinths resulting in a number of designers and builders stretching the boundaries of what constitutes a labyrinth, seeking new forms for new purposes. They retain a single pathway, leading sometimes to a centre, but others, our labyrinth included, follow the pathway of the design and back out. The Cowichan Valley Lavender Farm and Labyrinth, visited by Anne Pope (Sculptor, Labyrinth Designer & Master Gardener) of Calgary, described the labyrinth as a “Processional Labyrinth” which fits well with the current contemporary trend of the ‘Reflection’ and ‘Relationship’ labyrinths that have become popular. Labyrinths, at different points in time, were created in places as diverse as Brazil, Arizona, Iceland, across Europe, in Africa, India and Sumatra, the symbol and its family of derivatives traced back 4000 years or more; but the origins remain mysterious. At about the same time as the appearance of the Greek labyrinth, a topologically identical patterns appeared in Native American culture, the Tohono O’odham labyrinth which features I’itoi, the "Man in the Maze" (The Tohono O'odham Nation, translated as "desert people," is a federally recognized Tribe located in south-western Arizona who have lived in this region since time immemorial). A prehistoric petroglyph on a riverbank in Goa shows the same pattern and dates to circa 2500 BCE. Other examples have been found among cave art in northern India and on a dolmen shrine (large table-shaped stone, supported by three or more stones) in the Nilgiri Mountains, but are difficult to date accurately. In Greek mythology, the Labyrinth (Greek labyrinthos) was an elaborate structure designed and built by the legendary inventor Daedalus for King Minos of Crete at Knossos. Its function was to hold the Minotaur, a creature that was half man and half bull and eventually killed by the Athenian hero Theseus. Daedalus had made the Labyrinth so cunningly that he himself could barely escape it after he built it. When Theseus killed the Minotaur he defeated the beast at the heart of darkness - and created a myth that is still vibrant and evolving today. In the 3rd century BC, coins from Knossos were struck with the labyrinth symbol. The predominant labyrinth form during this period is the simple seven-circuit style known as the classical labyrinth. The term labyrinth came to apply to any unicursal maze, whether of a particular circular shape or rendered as square. At the center, a decisive turn brought one out again. Roman mosaics often depicted labyrinths as fortified cities, while in medieval Europe they symbolised the one true path to Christian salvation. They have been used as ceremonial pathways, protective sigils, traps for unwelcome spirits and for games and dancing. 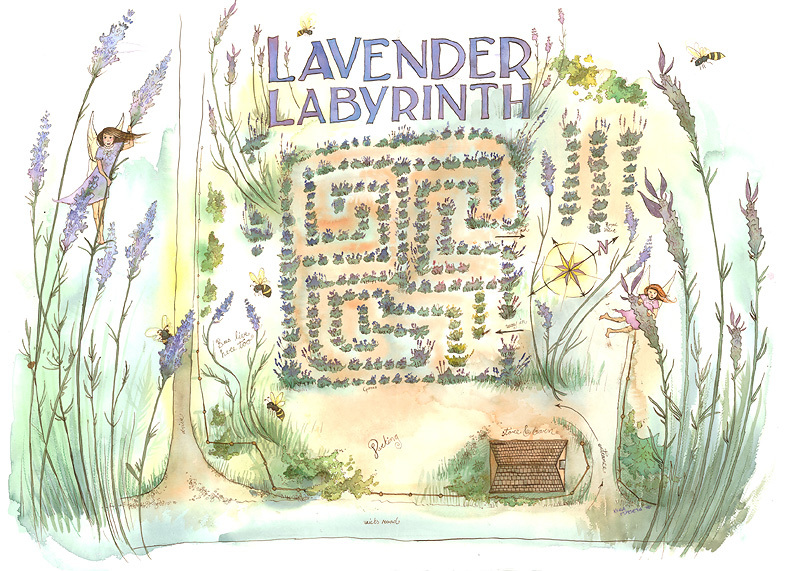 For anybody keen to discover more about labyrinths, click on the link below. It is from this source that this brief overview was pulled together.